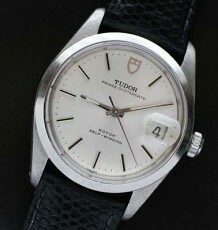 Like new Tudor Chronograph model 79380 with box papers and warranty. 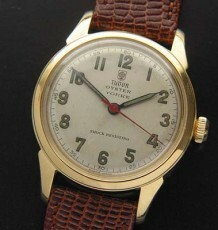 Rolex modified Valjoux movement. This is a new old stock or NOS Tudor Chronautic Chronograph ref 79380P that comes unworn and with all the original packaging including boxes and papers. 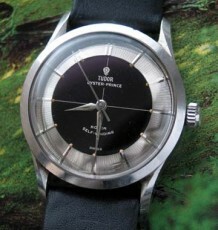 The watch features a black smooth dial with the Tudor pointed luminous hands. Please note the square holes in the luminous are intended to be there as part of the design of the watch. The watch is fitted with the Rolex modified Valjoux 7750 automatic chronograph movement. The bracelet buckle is still covered with the plastic sticker from the factory. 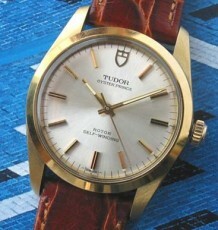 This model is now discontinued and can only appreciate in value as the other Tudor Chronos have done in the past. The Chronograph comes with double boxes and papers as well as the original sticker on the case back. The Oyster case measures 43 mm wide by 48 mm long and the heavy steel bracelet ref 93560 has never been sized. 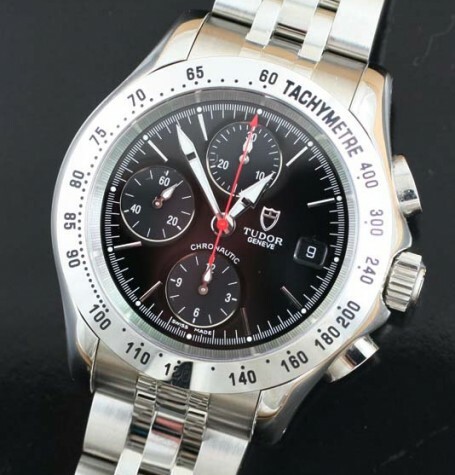 SKU: 459 Categories: Chronograph, Tudor Tags: box and papers, discontinued tudor watches, new tudor watches, Rolex chronograph, Rolex modified Valjoux, Rolex Tudor, tudor chronograph, Tudor new watches.